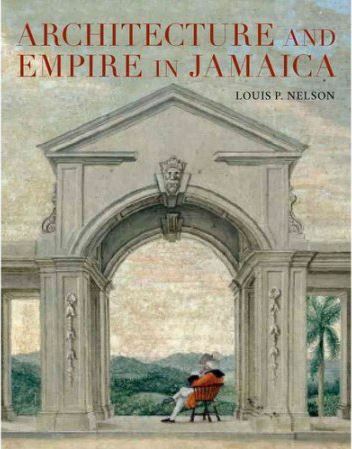 Louis Nelson’s Architecture and Empire in Jamaica (Yale University Press, 2016) presents a landmark accomplishment for the study of vernacular architecture. It is an inspiring recipient of the Cummings Prize on many levels – in its wide frame, in its indefatigable recovery of architectural details in the field, and in its archival discoveries from a range of private collections. Nelson’s study sets a standard for the exposition of colonial architecture, even as human encounters remain at its beating heart. This study begins on the African coast, particularly along the Gold Coast of West Africa then follows the route of so many slave ships to Britain’s wealthiest Caribbean colony, Jamaica. It concludes its sweep in Britain, where Nelson demonstrates the impact the colony had upon life in the British Isles and Europe. Amid his expansive sweep, Nelson demonstrates how the flow of people, goods, and ideas shaped each successive landscape from the late seventeenth century through the early nineteenth century. Thus his study examines sequential spaces as polyvalent structures and palimpsests of erased but still revealing earlier meanings, particularly as confronted by enslaved Africans. The everyday tensions of empire lay expressed in Jamaican planters’ homes and slave housing and the proliferation of absentee estates beyond the docks of British ports. His study’s fluid theoretical base propels a productive thesis, that the force of the British empire manifested and perpetuated itself on the “ground” as much as through any hegemonic force. His thematic chapters center provocatively on building types not always associated with empire. These include ships and docks, Jamaican sugar works, the island marketplace, domestic buildings of all types, and British exchanges, among others. His analysis of these rests on hundreds of measured field drawings, complemented by the book’s exquisite illustration program, with photographs, artwork, and plans on nearly every page, many in full color. Examples from Jamaica range far beyond expected ports of entry to encompass ruins and homes from inland parishes, offering the reader rare discoveries and documentation. A portion of this fieldwork represents the fruits of the many field schools that Nelson, with the frequent assistance of Edward Chappell, directed on the north coast of Jamaica for both students and locals for more than a decade. The students’ drawings of plans and framing details highlight invaluable training and offer one template for how we might collaborate more actively in our scholarly work. This volume, then, is also the result of teaching vernacular architecture in the field. Nelson’s archival discoveries in private collections, such as the sketchbook of artist Eugène du Simitière, further illuminate the evolving relationship among Britons, West Africans, and creoles. It is in recovering these human experiences which remains the study’s greatest result. From Nelson’s presentation in the introduction of Jamaican artist Laura Facey’s Their Spirits Gone Before Them to the examination of the Elizabeth Somerville House in Falmouth near the book’s conclusion, Nelson sidesteps any simple search for African or European antecedents and survivals in order to highlight the more complex negotiations taking place in many landscapes. Finally, Nelson’s engaging prose offers satisfying surprises throughout, as when he subtly counters his initial discussion of the defensive posture of Jamaica’s fortified architecture with the later openness of the island’s emerging creole house plan. The Cummings prize always attracts an impressive body of submissions. Louis Nelson’s Architecture and Empire in Jamaica stands apart as an open, learned achievement for the vernacular project as well as a testament to the legacy of its subject.